This series is designed to give you a better understanding of the journey of selling San Diego probate or trust real estate for the best price with the least stress possible. Learning how to prepare a house to sell for top dollar quickly is no easy task, so I applaud you for taking the time to learn more about the process of selling a home as the San Diego administrator, executor, or trustee. The following strategies and insights can be used to help you as the administrator, executor, or trustee to make better choices with the next steps in this process. If you are someone who wants to know how to avoid any added turmoil during the process then continue reading, and come back for the next blog of the series for more useful content. 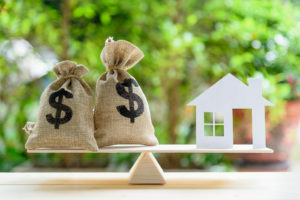 To begin ask yourself “What is important about selling the San Diego house to me?” If you have a clear understanding of why you are selling the San Diego probate real estate or trust property, it will help give you focus throughout the preparation, the marketing and successful sale of the San Diego house. Once you have determined your reason(s) for selling you can then start working on your timeframe and the Smart Home Selling Process. This blog will cover the first step, Hire a REALTOR®, and we will continue on to the next steps in part two of this series. This is the first, and most important, step in the process because proper representation means that you’ll be covered if any issues should arise during or after selling the San Diego probate. When choosing a real estate agent to represent you it is always a good idea to find a REALTOR®. This title means the agent is a licensed salesperson that belongs to the National Association of REALTOR®. A REALTOR® is held to a higher ethical standard far beyond that of other real estate agents, which means they’re more likely to manage your transaction to the best of their ability, you can read more about “what makes a REALTOR®” here. Pick three real estate agents to meet in person. Do a bit of research by viewing each of the real estate agent’s websites, and determine if they have the specialized experience needed to successfully handle a sale in probate or trust. Ask them to email references; contact some of the references and ask about their experience working with the aforementioned agent. Determine the top 10 questions or concerns that you have, and be willing to present them to each of the real estate agents. Listen carefully to their answers. Consider your head, heart and your gut; choose the real estate agent that is right for you and your current situation. Check back soon for the next section of this series where we will outline the Room-by-Room Review, Through the eye of the Camera, Pre-listing Inspection, and Clean, Repair, De-Clutter, and Depersonalize.